Germany will take in no more than 200,000 asylum seekers a year under a new centre-right deal that threatens to make coalition talks more difficult. 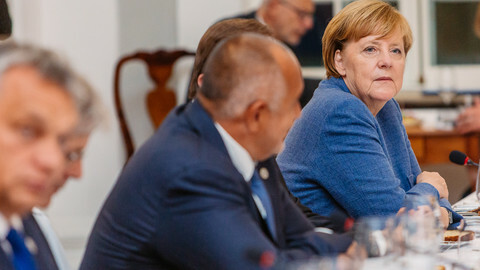 The decision was enshrined in a joint policy document, agreed by chancellor Angela Merkel's CDU party and its Bavarian sister party, the CSU, on Sunday (8 October). 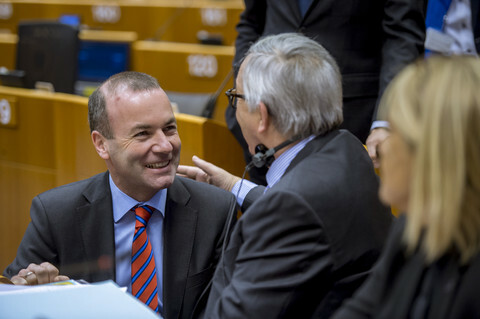 "We want to achieve a total number of people taken in for humanitarian reasons (refugees and asylum seekers, those entitled to subsidiary protection, family members, relocation and resettlement minus deportations and voluntary departures of future refugees) that does not exceed 200,000 people a year", the text said. It said the figure could be greater if there were "unexpected international or national developments". It pledged to detain asylum seekers in secure centres to make it easier to send them home if their applications failed. It added that Morocco, Algeria, and Tunisia were safe enough to return people from there as a matter of course. It also targeted the rise of far-right sentiment in Germany, saying: "We must fight the AfD [an anti-immigrant party] hard, and fight for its voters". 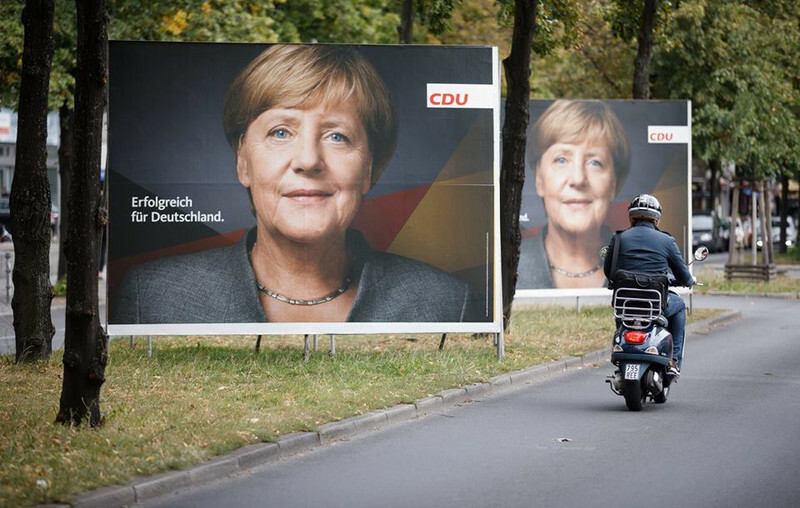 "It's a good day for the conservatives and a good day for Germany," CSU general secretary Andreas Scheuer said. 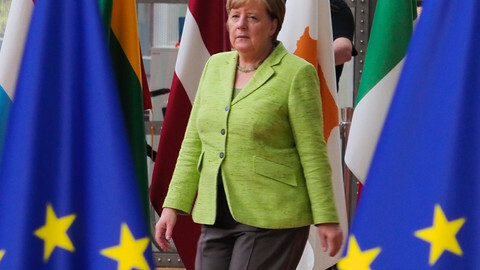 The pact represents a U-turn for Merkel's previous open door policy, which let in well over 1 million migrants over the past three years. 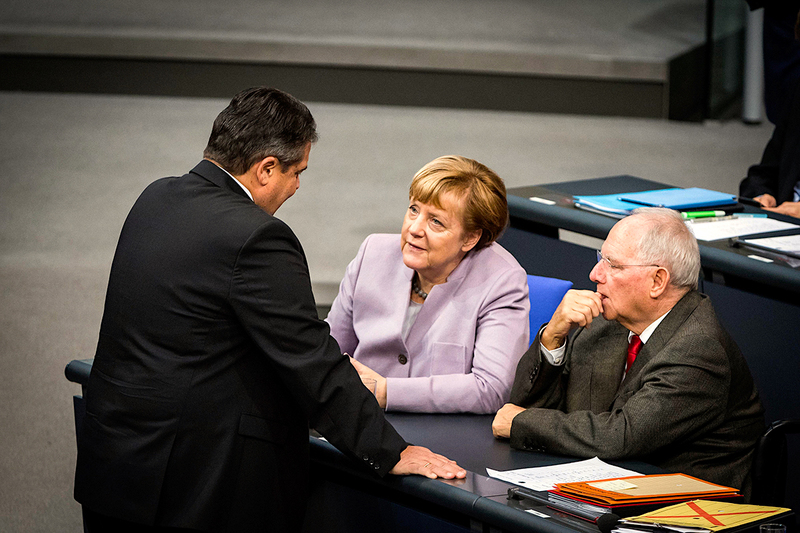 It also represents an obstacle in the CDU/CSU's attempt to form a coalition with the liberal FDP party and the Greens following last month's election. "This is … far from the result of exploratory talks for a coalition," Greens co-leader Simone Peter said on Sunday. 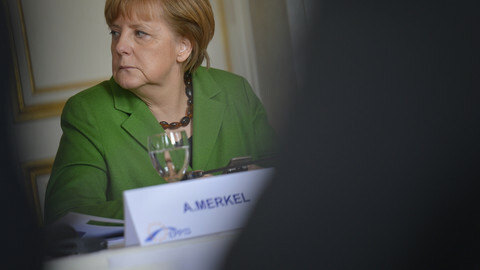 She said that setting a de facto "upper limit" on asylum seekers could violate German and international law. "We will not participate in deprivation programmes," she said. 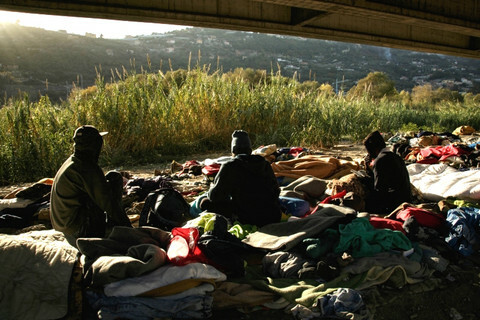 Pro Asyl, a German NGO, added: "Human rights do not know any upper limit, no one can be rejected in a situation where they are threatened with torture or inhuman treatment." The CDU/CSU accord comes after the AfD won 92 seats in the Bundestag, marking a return of the far-right to the political mainstream for the first time in 50 years. 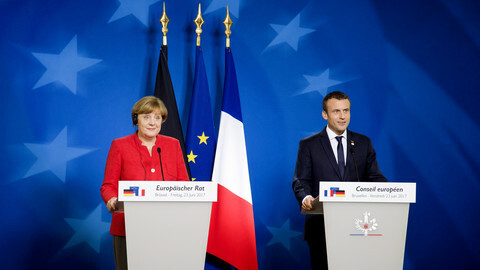 But outgoing German finance minister Wolfgang Schaeuble said on Monday in the Financial Times, a British newspaper, that "there's no chance Germany will ever relapse into nationalism". "There's no reason to believe that democracy and the rule of law are in danger," he said. Schaeuble also warned that the world risked a repeat of the 2008 financial crisis due to the trillions of euros that central banks had pumped into financial markets and due to non-performing loans in European lenders. "Economists all over the world are concerned about the increased risks arising from the accumulation of more and more liquidity and the growth of public and private debt. I myself am concerned about this, too," he said. He spoke shortly before stepping down from his post to become parliament speaker. Schaeuble, the mastermind of the EU's austerity policy, which imposed budget cuts on countries such as Greece, Ireland, and Portugal in return for bailouts, defended his legacy. He said "austerity" was, "strictly speaking, an Anglo-Saxon way of describing a solid financial policy which doesn't necessarily see more, or higher deficits as a good thing". "We have to ensure that we will be resilient enough if we ever face a new economic crisis," he said. 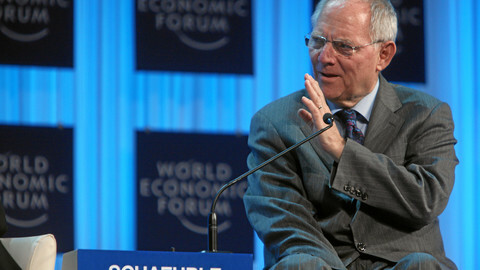 The German finance minister says in Davos that a Marshall plan is needed in the countries where the migrants come from. Migration, climate and energy and finance policies are blocking the formation of a 'Jamaica' government between Christian-Democrats, liberals and Greens in Berlin. 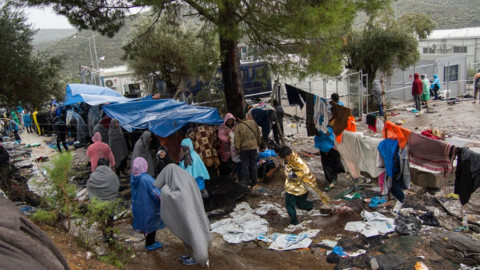 Housing units for refugees on the Greek islands have yet to be connected to electricity grids as concerns mount many will face another daunting winter.